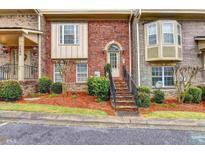 Find Norcross, GA Condos for sale. View Photos, Maps and MLS Data Now! Georgetown Park - A Lot Of Houses For The Money In The Area! MLS#6539327. Realty Professionals, Inc..
Get In Now Before The Whole Street Goes Commercial And Values Skyrocket. MLS#6539258. 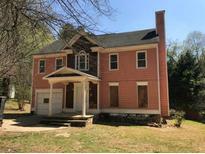 Atlanta Realty Global, Llc..
Be Prepared To Make An Offer! 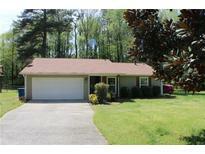 MLS#6539760. Owners.Com. 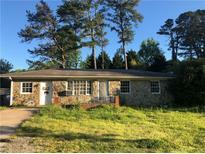 Great Location Near The Highway And Major Shopping Areas. MLS#8567181. Re/Max Center. Entertaining Deck Has Pergola And Overlooks Fenced Backyard With Woodsy Border. MLS#6538651. Real Broker, Llc.. 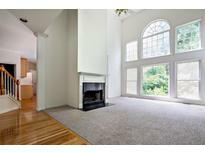 The Trails - Easy Commute To Perimeter Ctr, Buckhead, Midtown, Downtown. Nearby Shopping, Restaurants & Parks. MLS#6537988. Realty Associates Of Atlanta, Llc.. This Property Will Not Last Long! MLS#6537868. Era Atlantic Realty. Historic Norcross - Large Island In Kitchen. Very Unique-Must See MLS#6537241. Virtual Properties Realty. Biz. This Property Will Not Last Long! MLS#6536508. Chapman Hall Professionals. Clean, Bright, Lovely And Move-In Ready For The Most Discerning Buyer! MLS#8562953. Keller Williams Chattahoochee. Fha Approved. Don’T Miss This Opportunity. 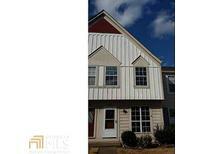 MLS#8562441. 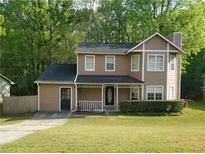 Solid Source Realty Ga.
Georgetown Park - Close To Major Highways, Shopping/Grocery, & Stem High School. MLS#6534827. Keller Williams Rlty Consultants. Currently Leased. Please Do Not Disturb Tenants. MLS#6533927. Atlanta Communities. The Basement Is Perfect For An In- Law Or Teen Suite With Its Own Separate Walk In Patio /Entrance That Leads To The Large Landscaped, Loved , Private Fenced Back Yard. MLS#6534320. Compass. New Construction W/In Walking Distance To Historic Norcross & Rossie Brundage Park*5 Bed/4.5 Bath, Guest Suite/Office On Main, Large Bonus Room & Full Daylight Basement*Open Floorplan, 10’ Ceiling & Designer Details Thru-Out*Exquisite High-End Kitchen With Large Quartz Island, Custom Cabinetry, Stainless Steel Energy Star Appliances & Walk-In Pantry Opens To Spacious Living Room With Built-Ins & Gas Fireplace*Separate Coffered Ceiling Dining Room*Stunning Master Suite With Spa Bath & Walk-In Closets*Main Level Entry 2 Car Garage*Private Fenced Backyard & Deck Perfect For Play & Entertaining*See 3D Tour! MLS#6524046. Karen Cannon Realtors Inc. The Master Retreat Boasts Trey Ceilings And A Spa Like Master Bathroom. This Home Won'T Last Long. MLS#6532639. Ibuyisell Realty. Great Location And Schools. View Today! MLS#8560119. Ambassador Realty, Inc..
Langford Close - Assigned To Newly Opened Stem High School (2018) MLS#6531276. Solid Source Realty Ga, Llc..
Magnolia - Large Master Bedrood With Large Master Bathroom With Garden Tub, Sparate Shower & Double Vanity. Great Location. MLS#6531669. Wealthpoint Realty, Llc..
Edgemoor - Located In The Better School District Of Norcross And Perfect For A Family Looking For A Nice Yard. MLS#6530943. Palmerhouse Properties. Langford Close - Please Submit Your Highest & Best By 5:00Pm Friday April 5Th, 2019 MLS#6529081. Atlanta Communities. Spacious Unfinished Basement, Walk To Parks/Restaurants, Entertainment, Minutes To 85/285 MLS#6528363. Virtual Properties Realty.Com. Use 450 Hunter St, Norcross, 30071 For Directions! MLS#6528385. Virtual Properties Realty.Com. Corner Lot Home With Lots Of Front, Side And Rear Yard. MLS#6528692. Solid Source Realty, Inc..